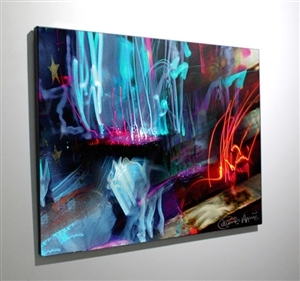 Carmine Appice, legendary drummer of Vanilla Fudge and SceneFour, art team bring a collection of rhythm on canvas. 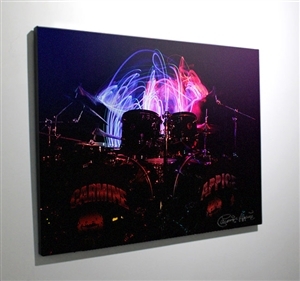 To mark his 50th year of making records, Carmine Appice has unveiled an extraordinary project...a highly limited collection of artwork. 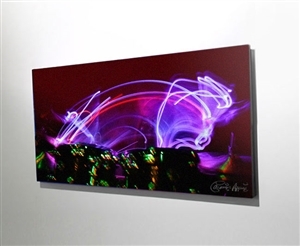 The collection titled Purple was crafted by Carmine Appice to showcase his rhythm onto canvas. 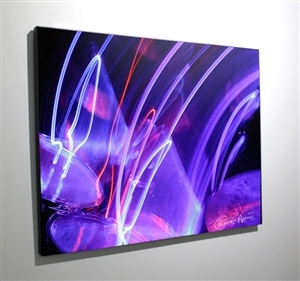 Utilizing drumsticks that light in various ways, Appice worked with art team/publisher SceneFour to craft the visuals in the collection. 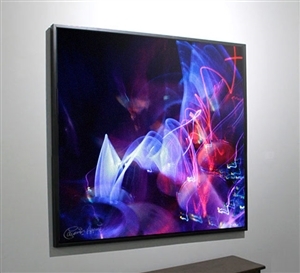 Also notable is the use of a Chromadepth color palette. 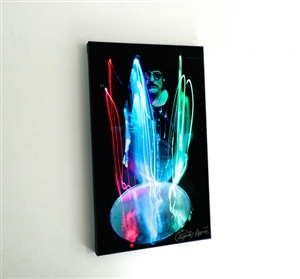 The first drummer in the medium of rhythm-on-canvas to explore this new dimension, each piece in Carmine Appice's art collection ships with Chromadepth glasses to view the artwork. 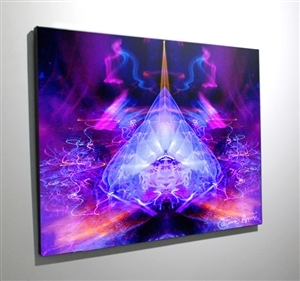 Though the art looks incredible without the glasses, once the artwork is viewed through the Chromadepth glasses, a slightly different visual perspective is seen with colors moving forward in a unique and interesting way.